The second round of The Voice 2013 blind auditions on BBC1 has seen a new bunch of performers trying to conquer the heart of the four judges Jessie J, Sir Tom Jones, Will.I.am and Danny O'Donoghue. Despite showcasing some pretty good talents, the show failed to steal the crown from Ant & Dec's Saturday Night Takeaway, proving that its formula is still not as fresh as the highly entertaining ITV1 program. On the other hand the judges provided a few amusing moments, especially Will.I.am, whose comments/rhymes were a hit with the public. The first talent to perform, Mariah Carey's backing singer Trevor Francis, stole the limelight with his version of Sam Cooke's 'A Change Is Gonna Come' and had all the judges pressing their buzzers. Trevor eventually chose to join Jessie J as her fourth act. Country singer Emma Jade Garbutt was next in line, but her gracious performance was backed only by Sir Tom Jones. Tough competitor Alex Buchanan sang Chris Brown's 'Don't Wake Me Up', persuaded all four judges in turning their chairs and eventually decided to join team Jessie J as her fifth member. Chef Gary Ryland, aka Ragsy, won judges Danny and Sir Tom over with his Coldplay cover, but decided to join team Jones. Sadly some of the acts did not sing as well as they thought, like YouTube sensation Sam Hollyman, whose Elton John's 'Your Song' interpretation failed to impress. Same fate for Lorraine Crosby, who performed twenty years before with Meatloaf, but could not persuade the judges to press their buzzer. 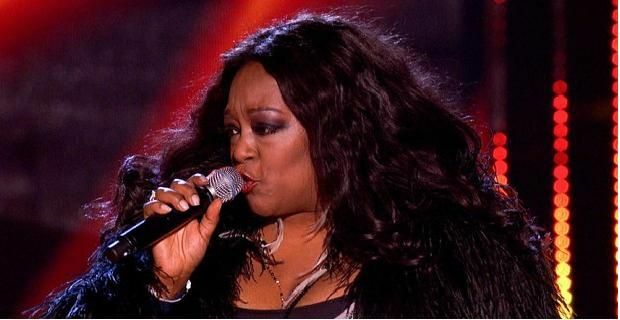 Maybe the judges were unwilling to give second chances to older singers, as also 80s soul artist Kym Mazelle got snubbed by the coaches, causing quite a stir. Sweethearts duo Smith and Jones joined team Danny, after performing Candy for the judges, while an overall winner was West End star Liam Tamne, who stole the show with a powerful version of 'This Woman's Work' by Kate Bush and had all the four coaches fighting for him. The Les Miserables singer eventually decided to join Will.I.am. While teenage singer Nick Dixon was told to come back the next year, Nadeem Leigh was good enough to impress Danny O'Donoghue. The final contestant on the show was Alys Williams, who broke down on last year's edition of The Voice. This time around the Welsh performer put her heart and soul singing Mumford & Sons' 'The Cave', which won all of the judges over, and after a painful 23 minutes of deliberation decided to join Sir Tom Jones' camp. So far Jessie J contestants are Ash Morgan, Katie Benbow, Danny County, Trevor Francis and Alex Buchanan. Will.I.am team member are: Leanne Jarvis, Matt Henry and Liam Tamne. Sir Tom Jones team member are: Mike Ward, Emma Jade Garbutt, Ragsy and Alys Williams. Danny team member are: Andrea Begley, Smith & Jones and Nadeem Leigh.